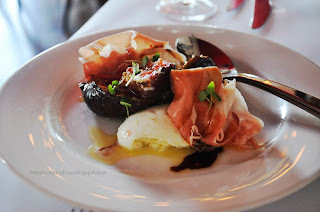 In search of an Italian restaurant for my sister's birthday, we came across La Scala which is located in Woollahra. 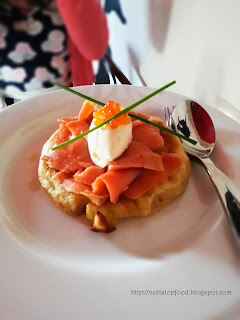 By looking at photos on their website, their interior design has sold it for me already and I couldn't wait to enjoy food in such a nice environment. 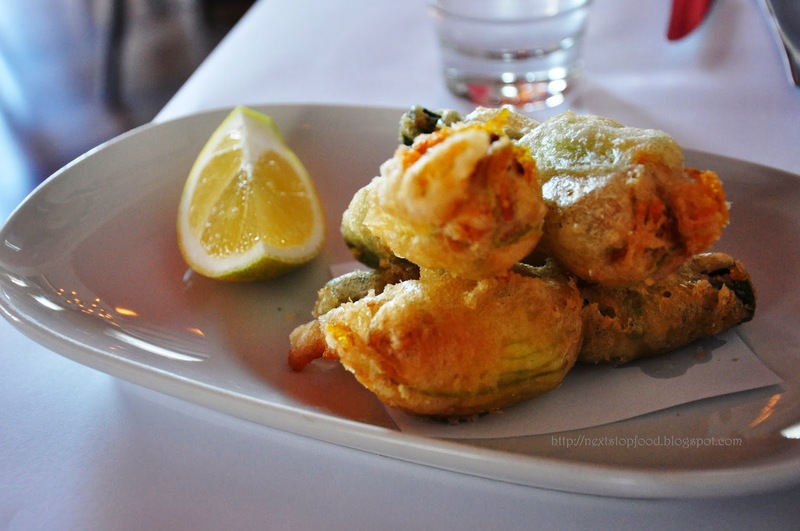 I think it's the prettiness of zucchini flowers that draws me to order them whenever I see them on the menu. I love their ricotta mixture, it wasn't too heavy and the lemon in it made it very appetizing! We had the urge to order another one..
As our waiter said, what could go wrong with cheese, figs and ham? He was so right, the figs were big and freshly sweet. 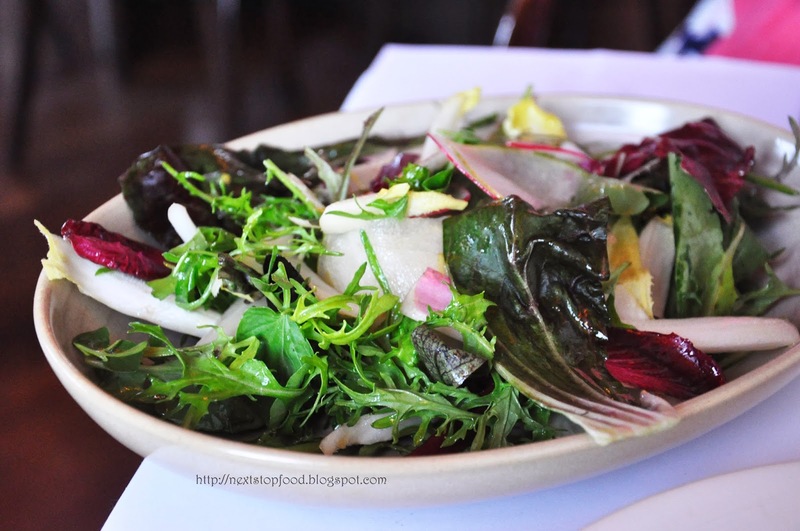 The flavour balance was this dish was perfect! They gave a very generous amount of smoked salmon and I especially love it when the salmon roe pops in my mouth hehe. 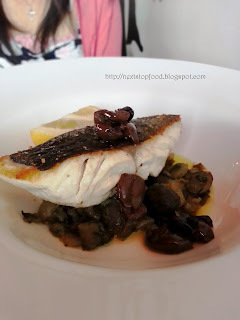 The fish of the day was blue eye travella, it was nicely cooked but I expected the skin to be crispy.. Love the olives in this dish. 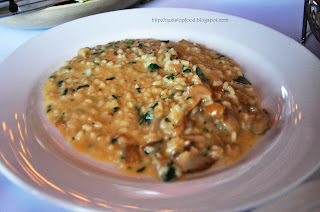 The aroma and flavour of mushrooms was indescribably beautiful and the risotto itself was perfectly cooked. This salad was chosen because of the nashi pear, unfortunately, not much pear was given to us and it lacked dressing. 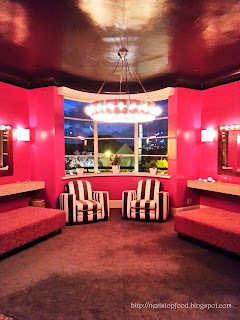 I had a little difficulty finding the Ladies because it was actually inside this gorgeous powder room. 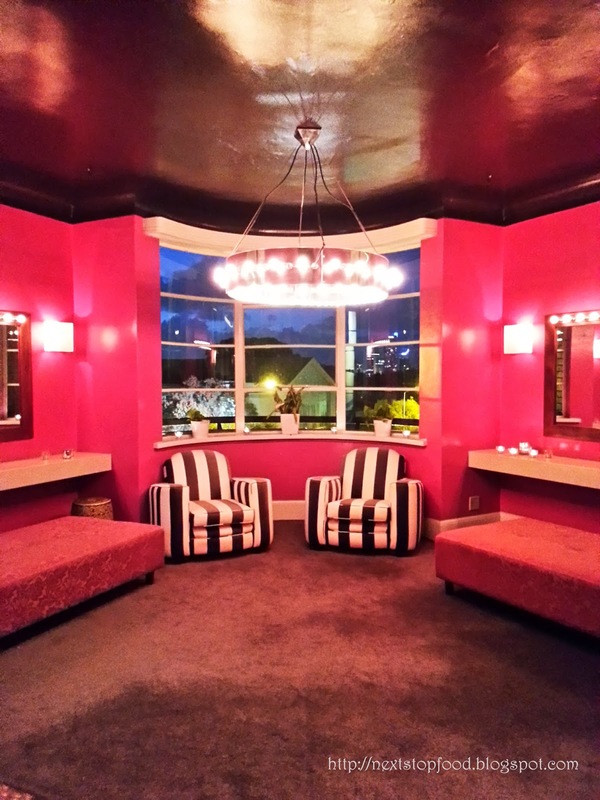 If only our Candice came with me, she would have stayed in the powder room for 10 minutes taking pics! The service throughout dinner was really good, our glasses were never empty. We were sharing our food and as soon as we finished our dishes, it was cleared so we will have more room on our table. Everything we ordered was amazingly good, I would definitely come here again and hey, who doesn't love a nice bathroom? ooohhhhhh yum!! love zucchini flowers! !